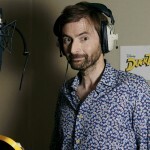 David Tennant has been busy of late, with various upcoming on-screen projects starring the Barty Crouch Jr and Doctor Who actor – catch the details below! Filming has started on ‘Good Omens’, an upcoming Amazon Prime Video six-part series based on the novel by Neil Gaimen, written with the late Terry Pratchett. Tennant will play the demon Crowley, in a story based on earth’s apocalypse. Michael Sheen’s will play the angel Aziraphale. Gaiman’s photo is reportedly taken from shooting on the opening scene in St James’s Park, set 11 years before the events of the story. According to RadioTimes, this marks the beginning of a six-month shoot that will move through London, Oxfordshire and even South Africa. We won’t be seeing Good Omens for a while, as the series isn’t set to air on Amazon Prime Video until 2019, before airing on BBC2 at a later date. Keep posted for more updates! 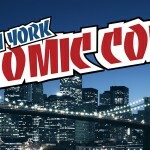 Also see a preview above for Ferdinand, also starring John Cena (as Ferdinand), as well as Kate McKinnon, Gina Rodriguez, Daveed Diggs, Gabriel Iglesias, Bobby Cannavale, Anthony Anderson, Flula Borg, Sally Phillips, Boris Kodjoe, Jerrod Carmichael, Raul Esparza, Karla Martinez, and Miguel Angel Silvestre. The film opens in theatres on December 15th, and a full-length trailer will premiere on Wednesday! Leaky previously reported on Tennant’s involvement in Call of Duty: WWII, which recently released its final trailer. The game arrives on November 3rd, on PS4, Xbox One and PC. 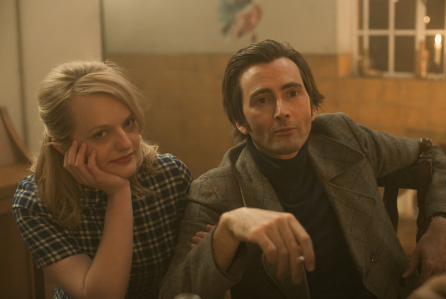 Last but not least, David Tennant will co-star with Harry Potter‘s Michael Gambon in Mad To Be Normal, a biopic about celebrity psychologist R.D. Laing from the 60s. Elisabeth Moss (The Handmaid’s Tale) will also star. The film had its debut at the Glasgow Film Festival in February, and was recently acquired by Samuel Goldwyn Films. Read more here. Catch up with the rest of the Potter and Fantastic Beasts cast in our latest round-up here! 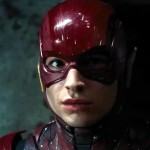 Weekly Round-Up: Ezra Miller in 'The Flash' and 'Fantastic Beasts 3', Zoe Kravitz on Dan Fogler's Latest Podcast, Emma Watson Interviews Reni Eddo-Lodge, a Lifetime Achievement Award for Ralph Fiennes and More! Theater Round-Up: 'Cursed Child' Heads to New York Comic Con, Daniel Radcliffe Meets the Press for 'The Lifespan of a Fact' and More!